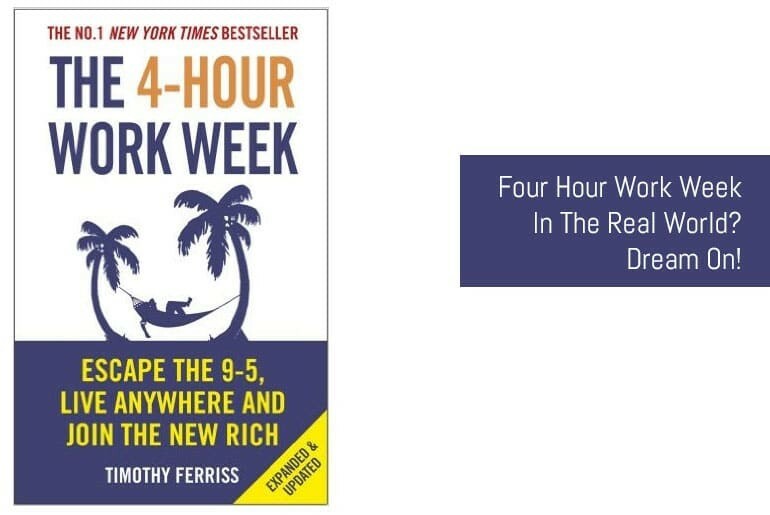 I’ve recently started reading the Four Hour Work Week* (hereafter 4HWW to stop me getting RSI) by Tim Ferris and, even though I’m only on page 97 I’m already a bit annoyed by this book. In the chapter I’m currently on, Ferris talks about regaining time by only checking email and voicemail at designated times of the day such as 12pm and 4pm – and he stresses not to check email first thing in the morning. Doing so will save you x amount of time per day – but would this actually work in the Real World? I can’t see how it could. Now, I don’t know if it’s the type of job that I’m in that’s leading me to the conclusion I’ve come to, or the fact that I already manage my email perfectly well (to my mind anyway) but all I can see is that this would cause me so many more issues that it wouldn’t be worth attempting in the first place. Essentially the method is this: you set up an email autoresponder that lets the sender know that you only check your email at specific times and tell them if it’s urgent to call a phone number; This phone number is set to permanent voicemail on which you leave a message telling the caller that you only check your voicemail at certain times and that if it’s urgent to call another number; when the other number rings you answer it as it’s “urgent”. A Customer drops me an email stating that the administration function of their website wasn’t working and generating errors.My Issue: The customer won’t be able to add new products until this is fixed and therefore lose revenue from the site. This may mean – depending on the contract signed – that we (or I) are liable for any loss of earnings that stemmed from this bug. 4HWW Result: Customer sees the auto-responder and doesn’t bother to call as to them at the time it’s they don’t think it’s that urgent. Results in a loss of X number of orders, plus they can’t do any work on the site at the time they put aside to do so. Further Result is a loss of faith in me and my company. My Result: Confirm with the customer within 5 minutes what they’re trying to do and clarify the issue. Look into the issue and fix it within 28 minutes (man, I’m good aren’t I?). Results in the customer being able to carry on working quickly and no loss of orders. Further Result is that they know they can count on my and my account with their Emotional Bank Balance is increased. 4HWW Result: The customer sends an email asking a question, sees the auto-responder and decides to call me as to them their enquiry is urgent. They don’t leave a voice-mail but instead call the “emergency” phone number which I answer. We discuss their question and then invariable move on to other – not necessarily related – issues. Results in lost time for both me and the customer, plus there’s no “paper” trail to back up the discussion that was had. My Result: Read the customer’s email and reply saying I’ll get back to them with the answer later as I need to look into something (irrespective of whether I need to or not). I can then schedule in a convenient time to send the email. Results in the customer knowing that I’m aware of the query and I’m looking into it and allows me to answer their question at my leisure. Whatever way I look at it – and I did think about it a fair bit last night – I just can’t see how this method of “freeing up time” could ever possibly save me any time at all; It would, in all probability, lose me time. Sure, this method of freeing time may work for some people but I can’t see how this band-aid approach can fit all areas of work though the inference from Ferris is that it can. There’s been a bit of backlash over productivity recently (although it’s mainly been centred around Getting Things Done other things have been slagged off as well (and I suppose you could say Merlin’s little tirade was aimed at people like me). We all seem to be looking at some form of “cure all” for our lack of time and general disorganisation, and applying techniques like the one I’ve discussed here will never fix the inherent problem in our lack of productivity until we fix the most basic thing – ourselves. Okay, I know this has probably come across as a bit of a rant but I don’t see why using productivity techniques should so implicitly impact the people that pay your wages – your customers. You need to learn to manage yourself, not manage them. I have a fear that this form email mis-management will begin to take hold. Dave Crenshaw uses the technique in his book The Myth Of Multitasking: How “doing it all” gets nothing done but for some reason the way he implemented it didn’t get my goat as much as Feriss’ method – which maybe due to the way the book’s written. We need to stop looking for this panacea of unattainable productivity and simple learn to manage ourselves effectively. No matter what these productivity “gurus” (or anything I say) can add an extra hour to your day. We need to stop blaming our tools, our schedules, our customers, workmates and the universe in general and realise that the ball’s in our court. We need to make ourselves effective first, this is just reactive. Fix the root cause of the issue. Anything else is just papering over the cracks. “Tim (also) suggests using VAs (virtual assistants). If appropriate, you could have customer issues sent to a VA who would either take care of issues directly, or send the issue to you if s/he were not capable of dealing with it — and do so with some sort of priority system. If you cannot afford VAs, then you are correct that you need to be monitoring email regularly. It’s your job. This is something David Allen touches on; when obstetricians complain about their beepers going off, interrupting their planning, he says that those beeps (meaning a baby is about to be born) *are* [your] most important priority.